This one’s for you Matt… aBlogtoRead.com readers know that I don’t spend a lot of blog space explaining which watch actors and athletes are currently paid to endorse. I will however discuss watches on the wrists of people I respect and that have good enough taste to choose something nice. 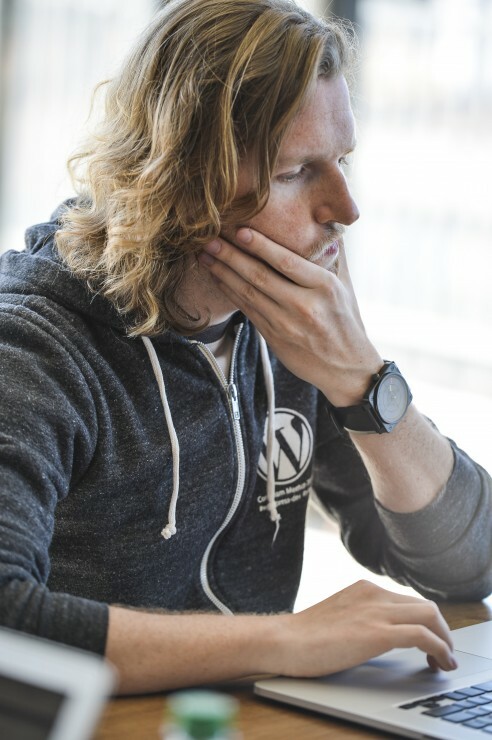 WordPress and Automattic founder Matt Mullenweg is also a watch lover. Like many San Francisco and Silicon Valley horophiles, Matt is a bit more private about his fascination with watches. He told me once that it started with a Panerai he saw in a store window. Nevertheless, these important captains of industry and genius engineers are one of the largest and most important watch loving demographics in the US. These guys buy watches because they appreciate the mechanics and craftsmanship, not because they saw them in a fashion magazine. Like millions of other blogs out there, aBlogtoRead.com is WordPress-based. That makes it extra special to me that the guy who developed this software is into what I am into. At the San Francisco WordPress Wordcamp Hack Day, Matt is seen above wearing a Bell & Ross BR01-92 Radar. I first discussed it here. The original one from about 2009 where Bell & Ross first swapped hands for moving discs to tell the hours, minutes, and seconds. What a perfect picture of Mullenweg (taken by Sheri Bigelow). Watch on wrist, WordPress logo on hoodie, and hand on computer. All that’s missing is jazz music and a serious camera. I’m glad to see Matt wearing a nice watch. 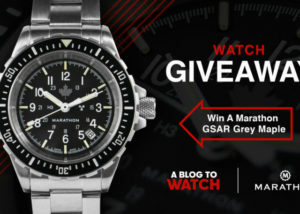 But the hour and minute numerals on the B&R radar watch are still bass-akwards. The red hour hand in the middle ring is OK, as that makes it more “normal” to read with the yellow minute hand outermost. But the 3, 6, 9, 12 number (hours) are on the outermost (minute) ring while the 15, 30, 45, 60 numbers (minutes) are in the hour ring.Massive design fail on Bell & Ross’s part. Otherwise, I like it in a “camp” sort of way. I agree – the minute hand is always the longest one, so you make complete sense. I think the designers on this one were think that you would read it from the outside in, which also makes sense. I’d have to see it both ways to be sure which one would be better. But regardless, I’d never buy this watch. I might not wear it but I know why Matt likes it. For what the watch lacks in pure function it makes up for in a sort of calm design and poetic quality. Looking at it like a cold instrument would be dismissing the artistic function Bell & Ross wanted it to have in comparison to their other BR01 watches. MarkCarson The one I have looks like the picture above, which is different from the one in Ariel’s review in two ways:Green seconds on the inside, yellow minutes next, and red hours on the outside, which does line up logically. It’s very easy to read actually.It’s from an edition of 500, not 100.I have no idea the reason behind these differences, but there you have it. 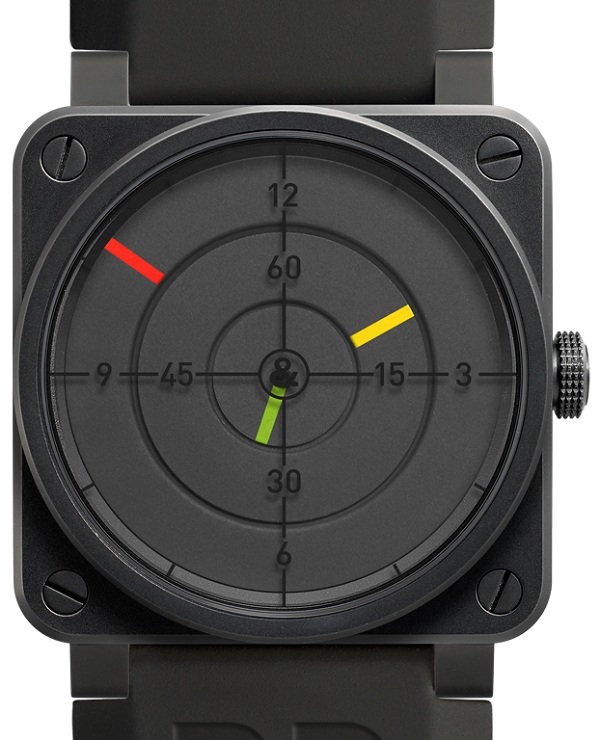 Nothing says, “I am an 11 year old boy” like this goofy radar watch. Yay. I’m going to go watch Robotech now. Oh boy! My radar detects milk & cookies! Snack time. 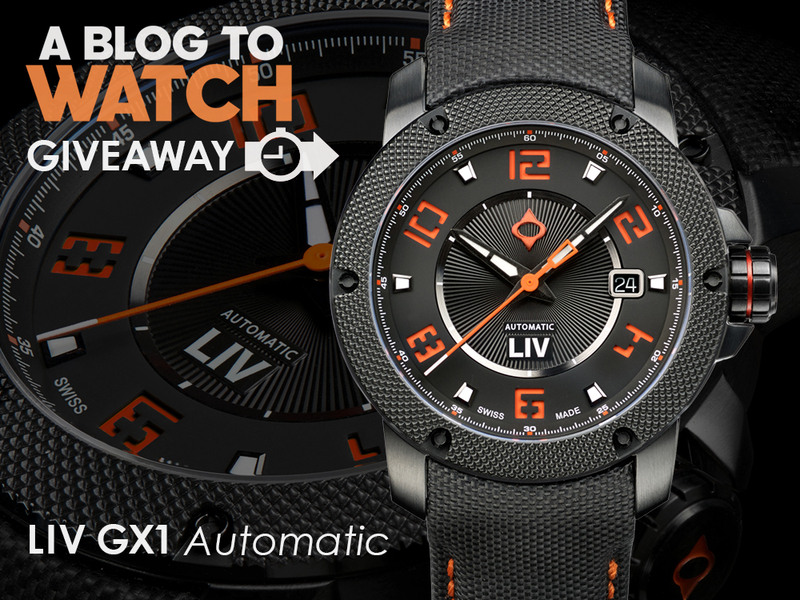 And yet this looks every bit like the kind of watch you’d find in a fashion magazine. It’s the type of watch for a man who likes following fleeting trends, which remain novel for a month or two before they are replaced by some other odd design. Cheaper brands already have this market cornered. Besides, a minimalist watch like this isn’t exactly the best way to demonstrate fine craftsmanship because it doesn’t allow much room for flair. I’d rather go for a black plated Issey Miyake TO automatic or quartz, for a quarter or a tenth of the price (depending on where you look), if I were interested in this style. Needs a haircut and shave to wear a Radar watch! And stop biting your nails… I’m waiting for the B&R batman retro utility belt next. B&R should leave these designs to the discount Chinese manufacturers. Each time I see Matt or a picture of him his hair style totally changes. You don’t want long nails if you are using a keyboard all day long. I have yet to see a discount Chinese brand make what B&R does. It is funny because the simplicity of their designs is part of their appeal but deceptively might make them appear easy to replicate.